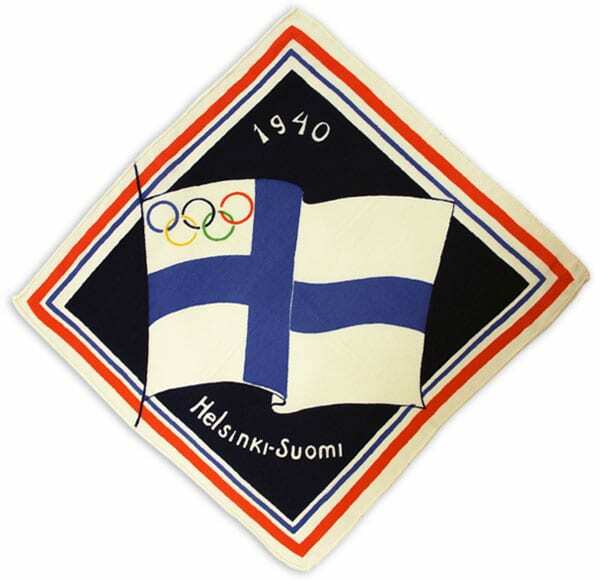 Description: Finnish flag with Olympic rings in the upper hoist corner; white string attached on the left side. 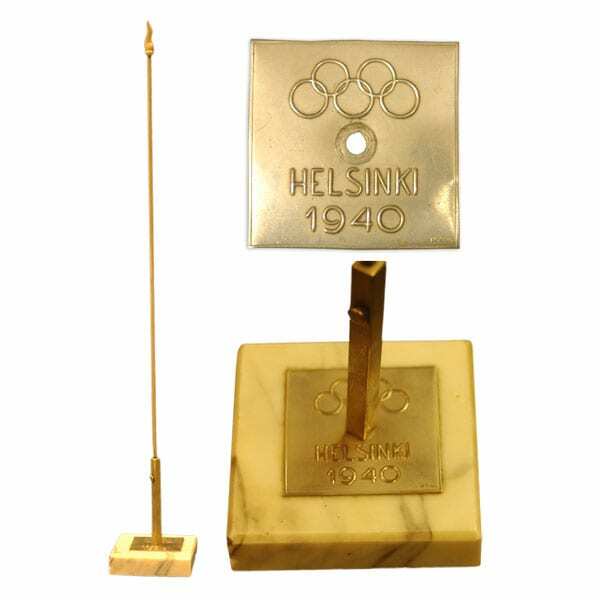 Description: Pedestal of grey marble; at the foot of the pole a metal plate with Olympic rings and the text: HELSINKI 1940; the flag features dimly visible Olympic rings and the Finnish flag on the upper hoist corner. 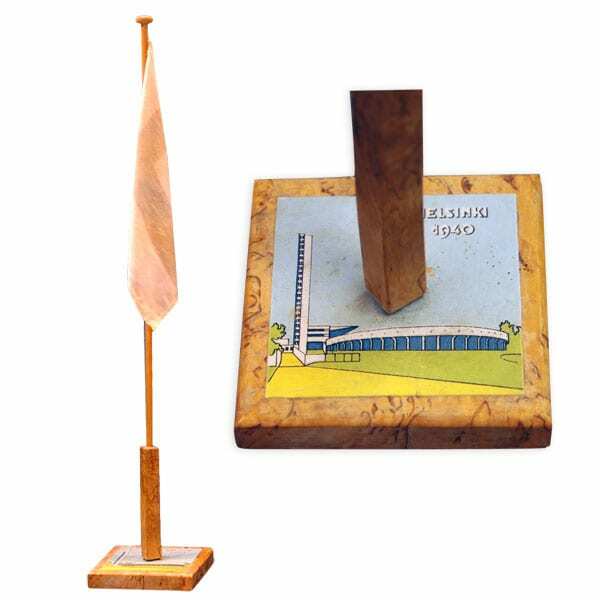 Description: Pedestal and lower part of the pole of juniper wood, a faded Finnish flag hoisted with a string; in the pedestal the text HELSINKI 1940 and the Olympic Stadium. 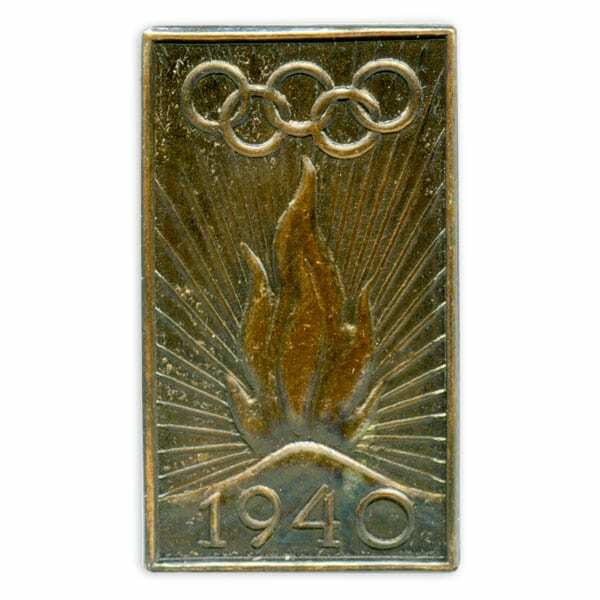 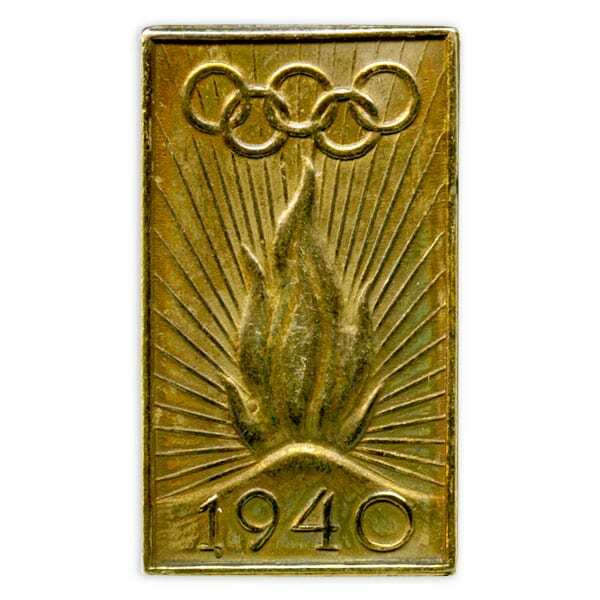 Description: Rectangular needle pin; embossed Olympic rings, Olympic flame and the year 1940. 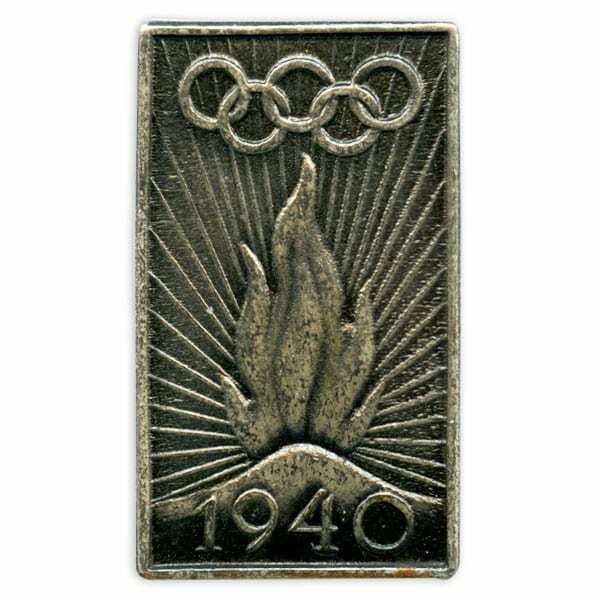 Description: Rectangular needle pin; embossed Olympic rings, red flame on a white field and the year 1940. 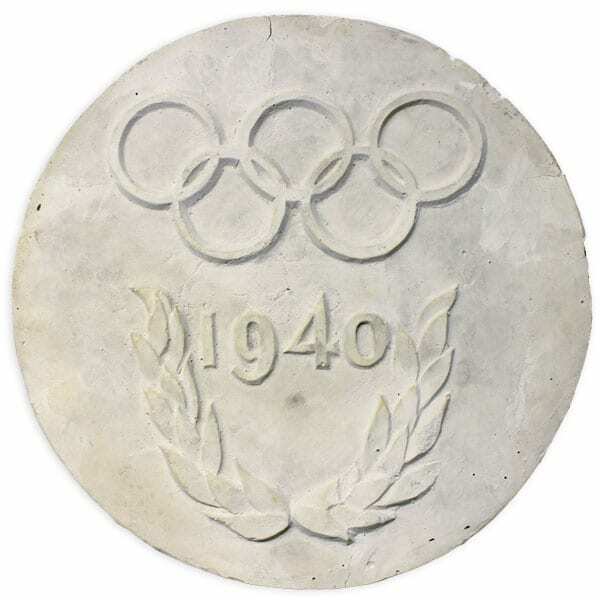 Description: Olympic rings with the years 1936 and 1940. 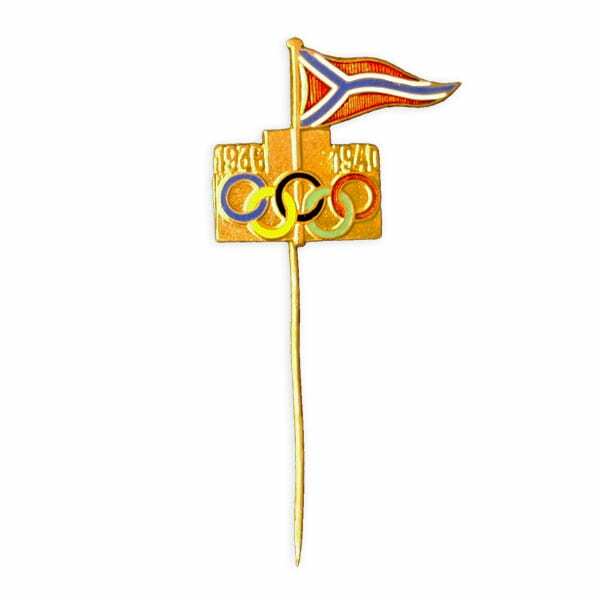 A triangular banner featuring a blue Y-shaped pall on red field. 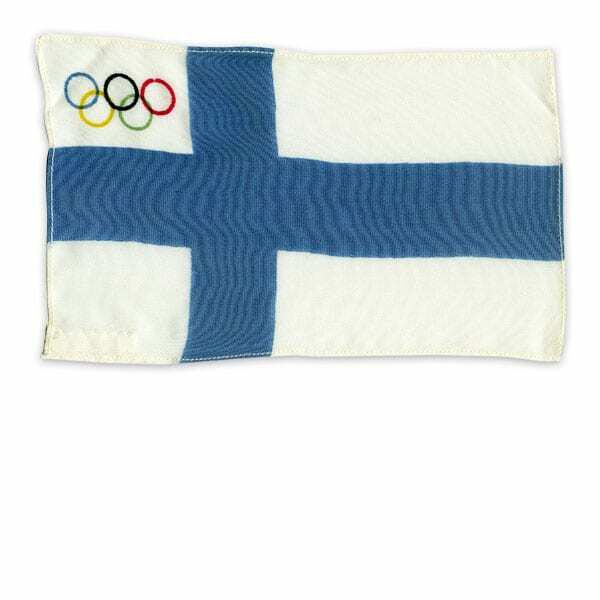 Description: On a dark blue cloth a large flying Finnish flag with Olympic rings in the upper hoist corner. 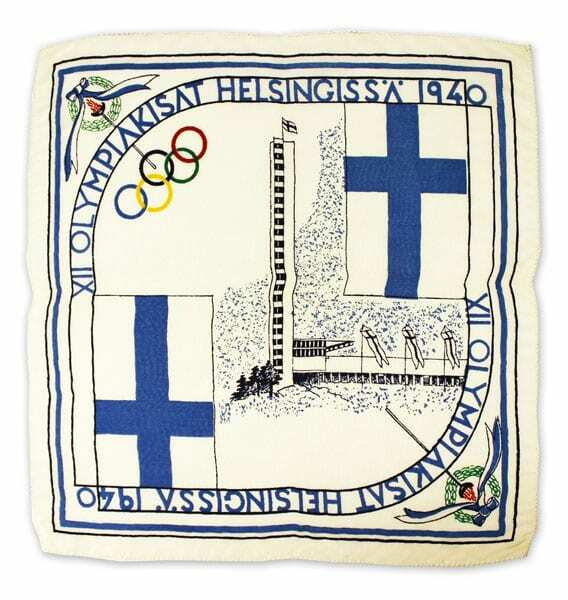 Other information: Helsingin Neulomo made two versions of the cloth: one with the Finnish flag, the other with the coats of arms of Finnish provinces. 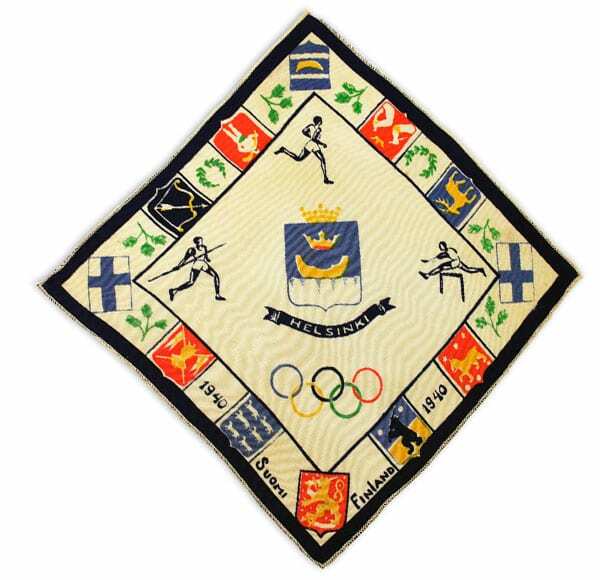 Description: In the middle the coat of arms of the city of Helsinki, the Olympic rings, a runner, a hurdler and a javelin thrower. 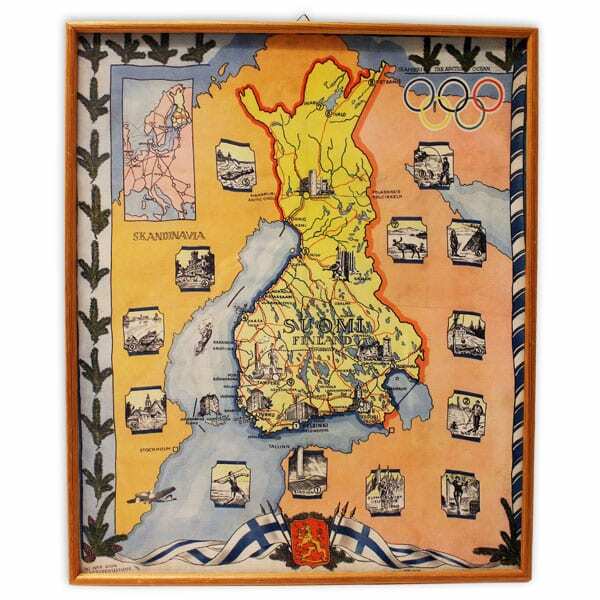 On the surrounding band the coats of arms of eight Finnish provinces, two Finnish flags, the Finnish Lion and laurel wreaths. 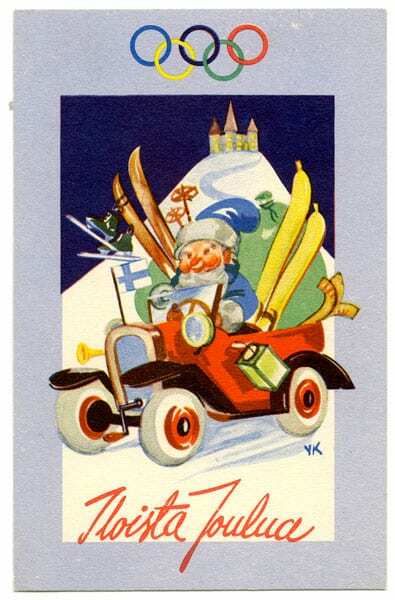 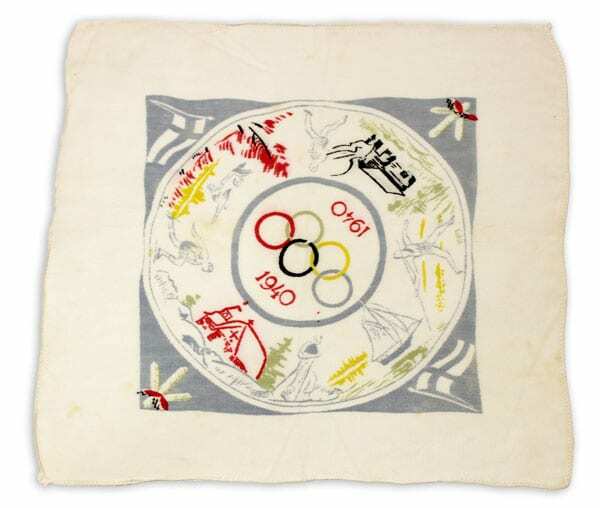 Description: White, in the middle a colourful disc depicting various sports and scenes of Finnish culture. 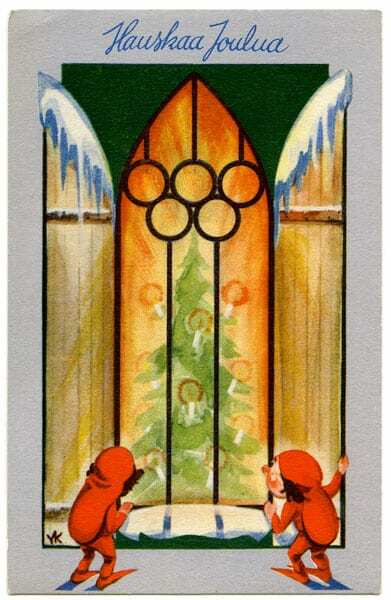 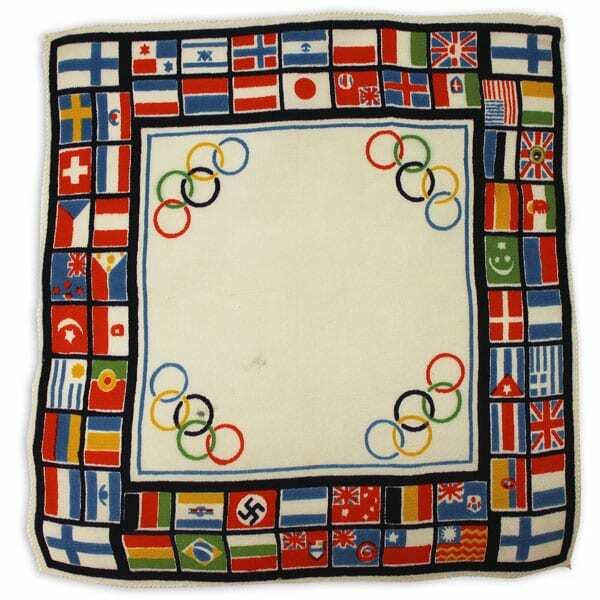 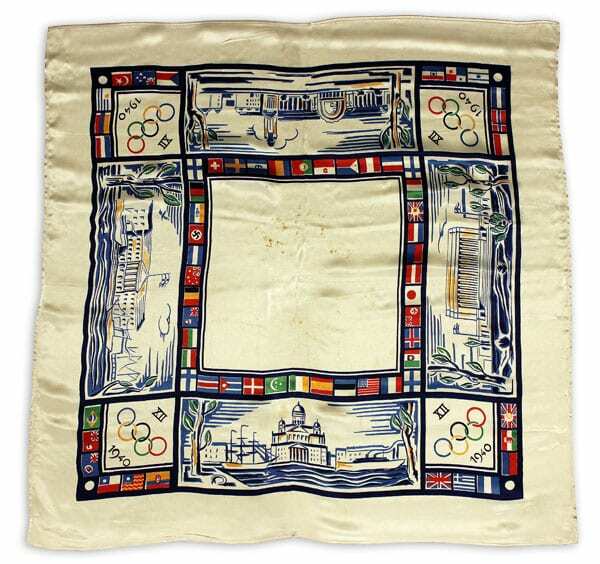 Description: White cloth; in the corners the text XII 1940 and the Olympic rings. 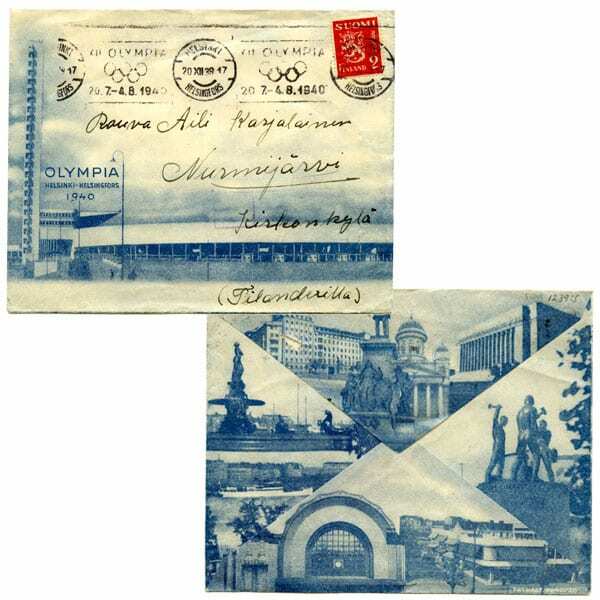 Architectural scenes of Helsinki and flag of the participating nations. 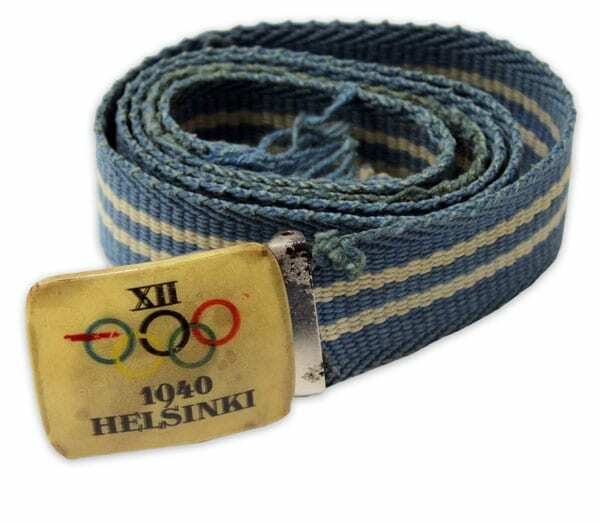 Description: Dark blue necktie striped with Finnish flags and texts: HELSINKI 1940. 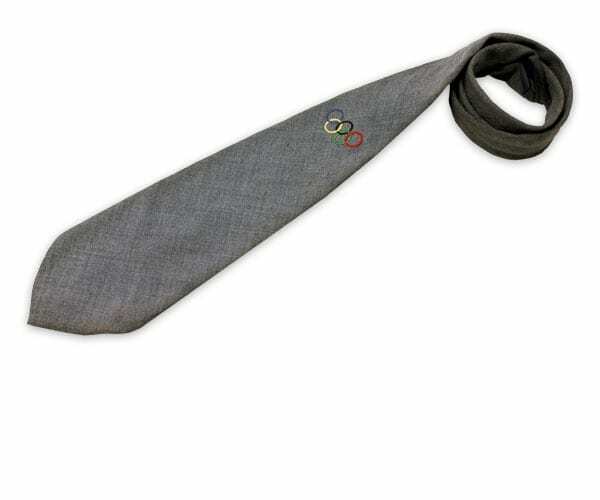 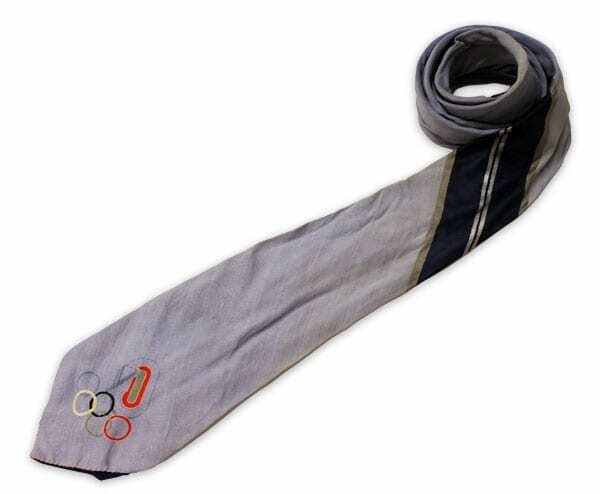 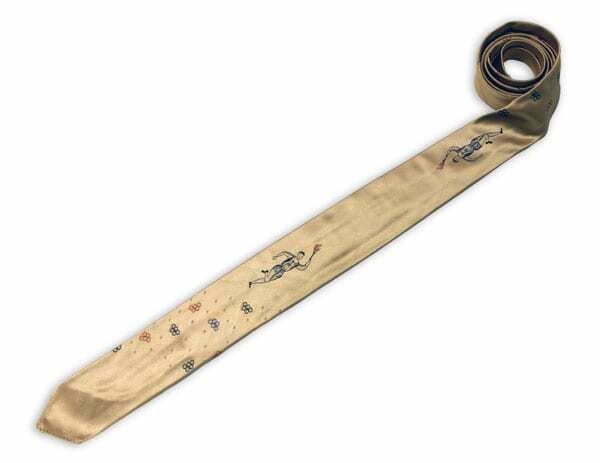 Description: Peach-coloured necktie with small black, red and blue Olympic rings and small figures of boys carrying the Olympic torch. 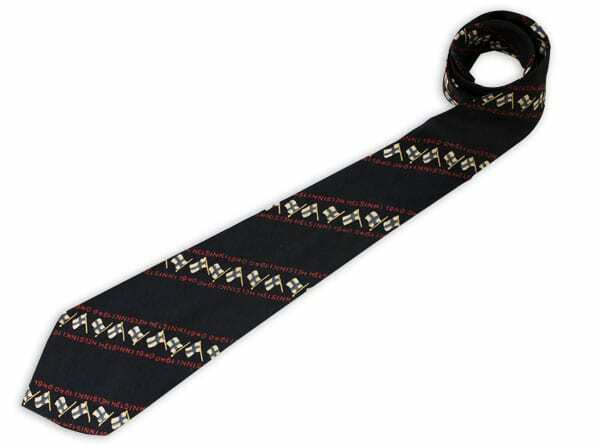 Other information: A tie for young boys. 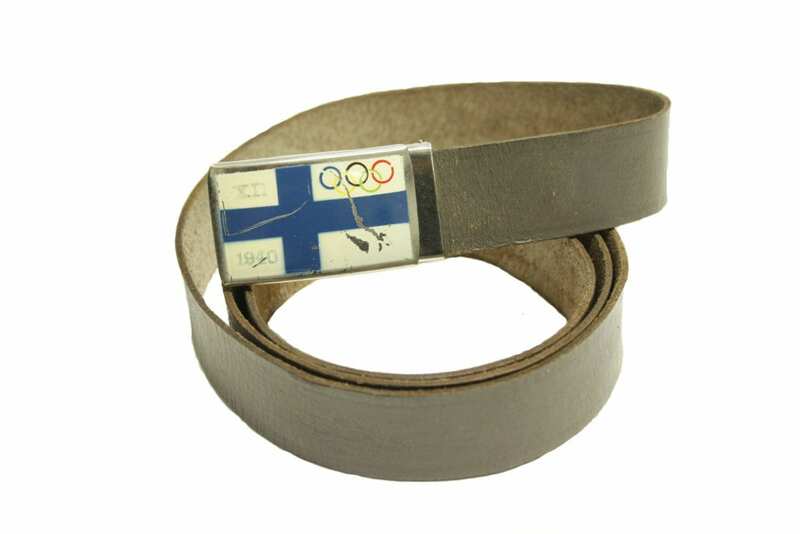 Description: Brown leather belt, metal bucket with the Finnish flag, the Olympic rings, the numeral XII and the year 1940. 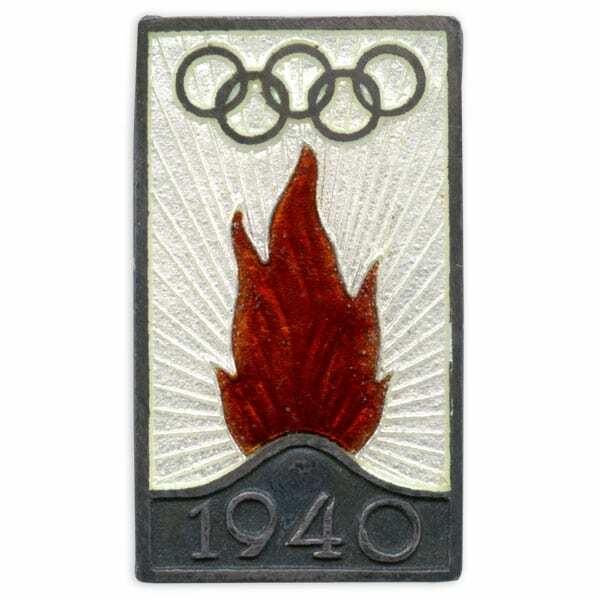 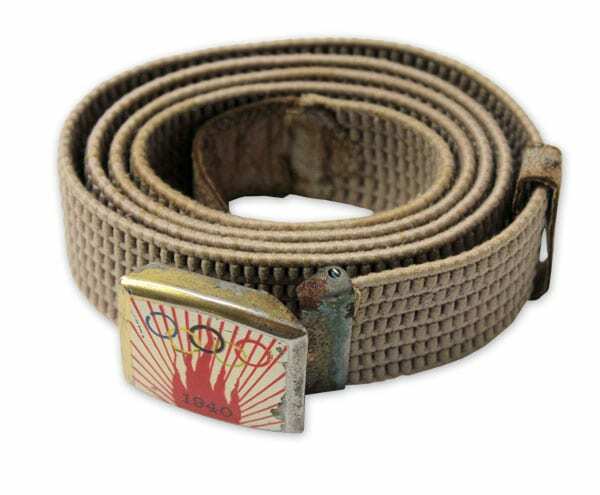 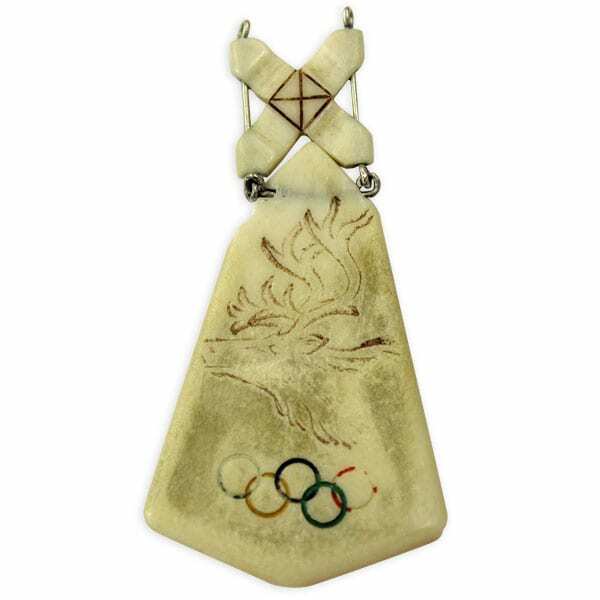 Description: Beige belt, rectangular metal buckle with a painted figure of a red flame with the Olympic rings; the other end leather. 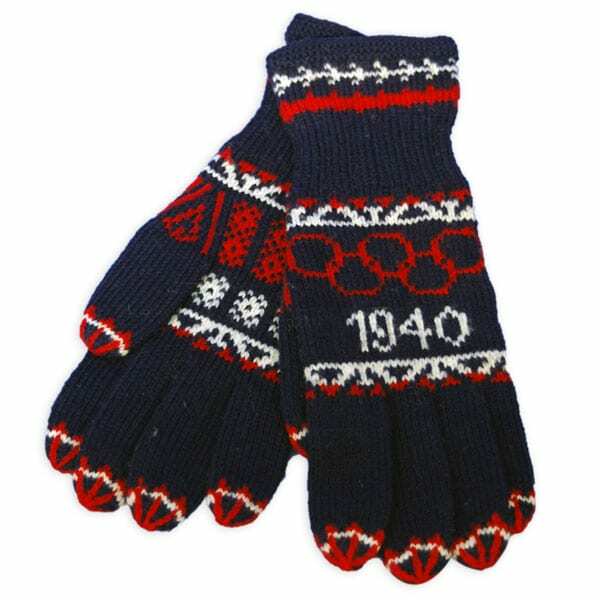 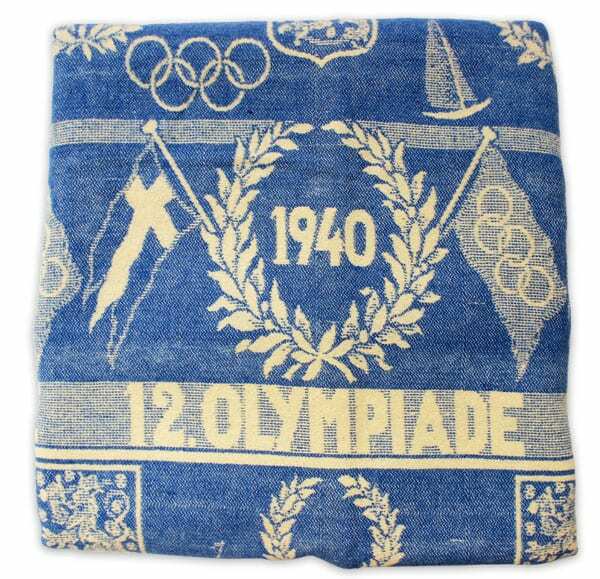 Description: Blue knitted cloth with 2 white stripes; rectangular convex buckle with Olympic rings and the text: XII 1940 HELSINKI. 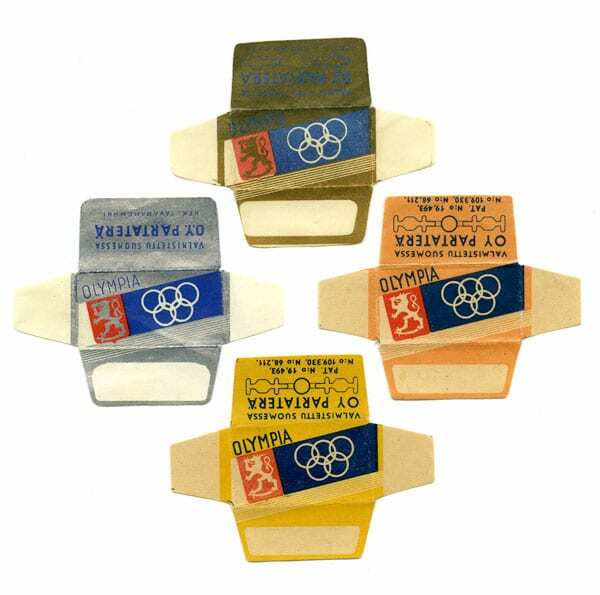 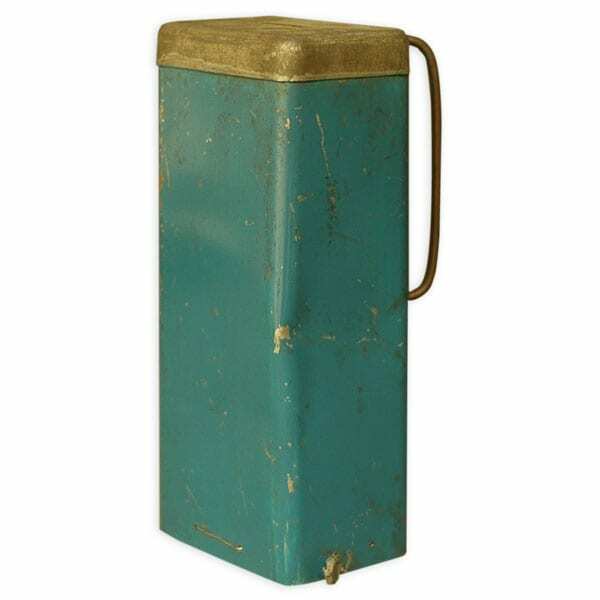 Description: Rectangular paper in shades of white and light green. 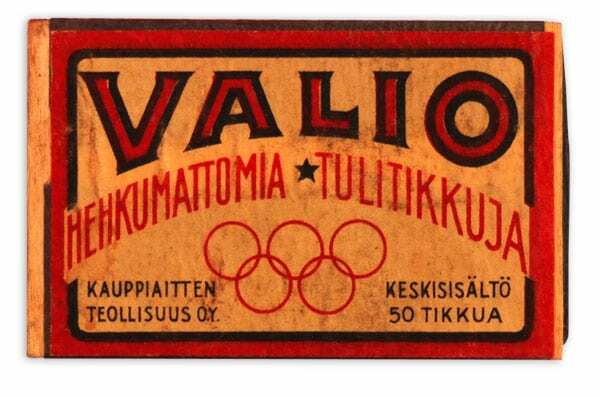 On the upper corners images of athletes, in between the text SUOMEN VALTION, FINSKA STATENS [Of the Finnish state]. 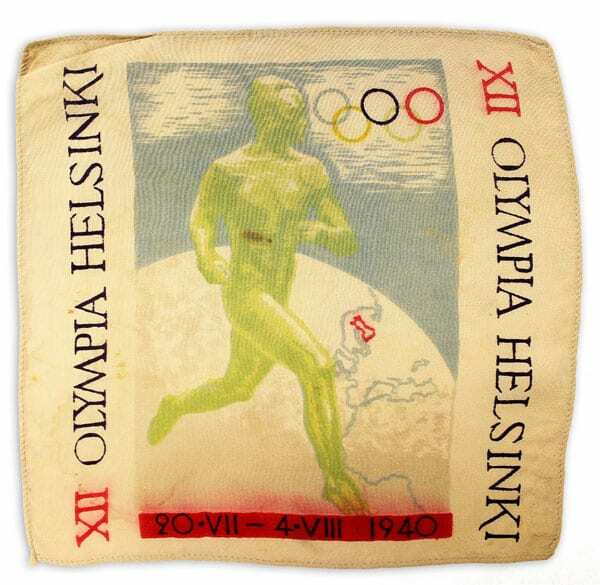 In the middle underneath the text a green emblem of the 1940 Helsinki Games. 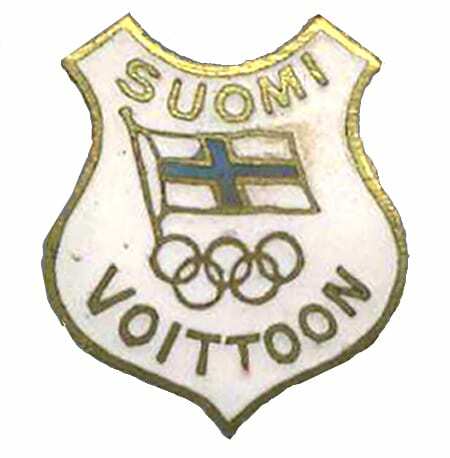 In the low edge the year 1938. 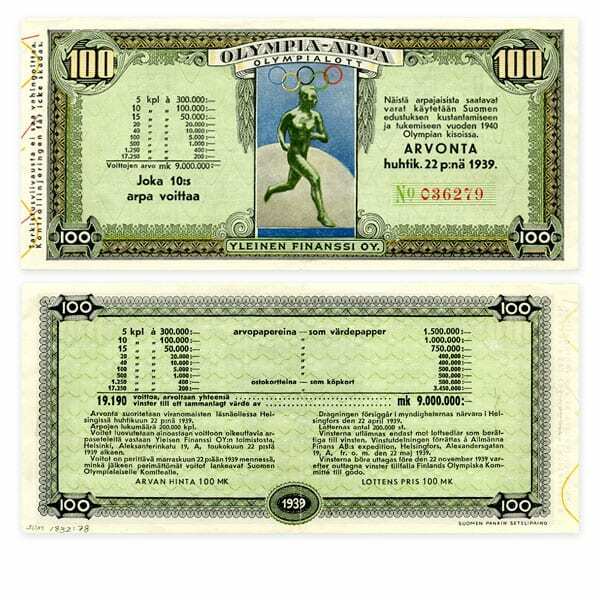 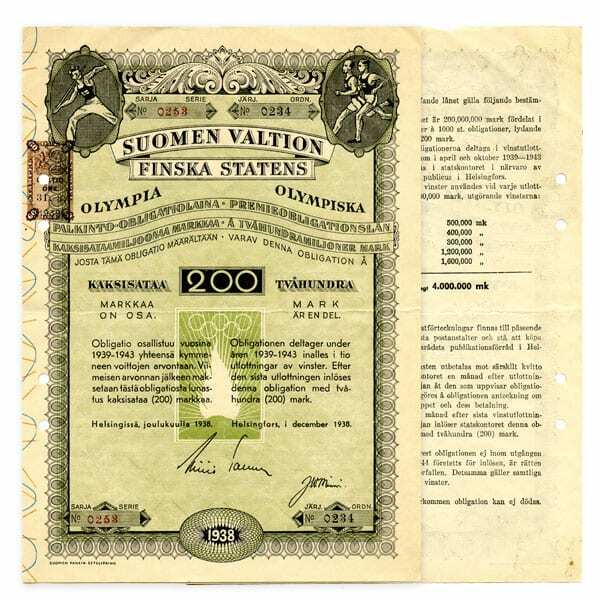 Other information: The Olympic bonds were sold especially for the benefit of Olympic construction projects. 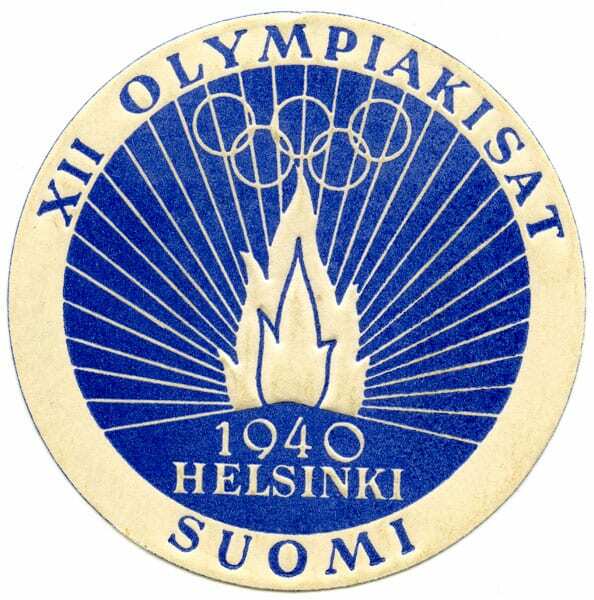 Other information: Issued for the benefit of training of the Finnish Olympic team. 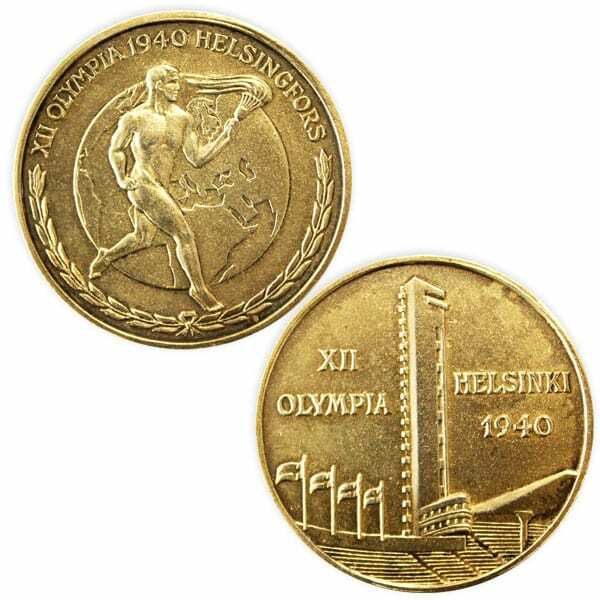 Description: On the front a photograph of two runners crossing the finish-line. 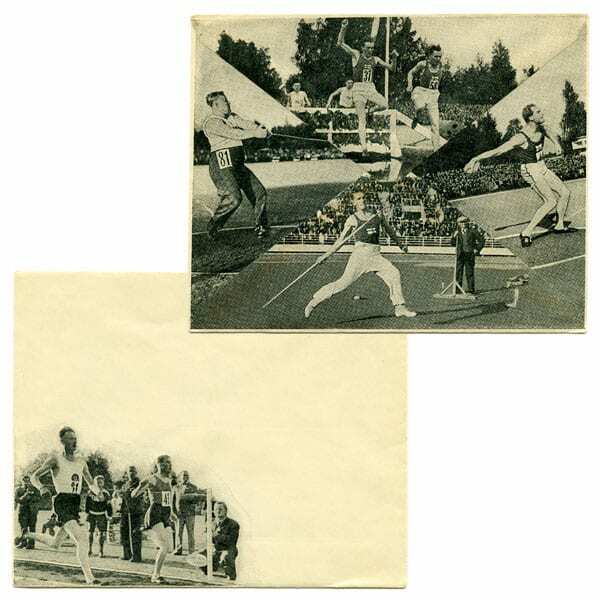 On the backside photographs of Finnish athletes in four different sports: hammer throw, steeplechase running, discus throw and javelin throw. 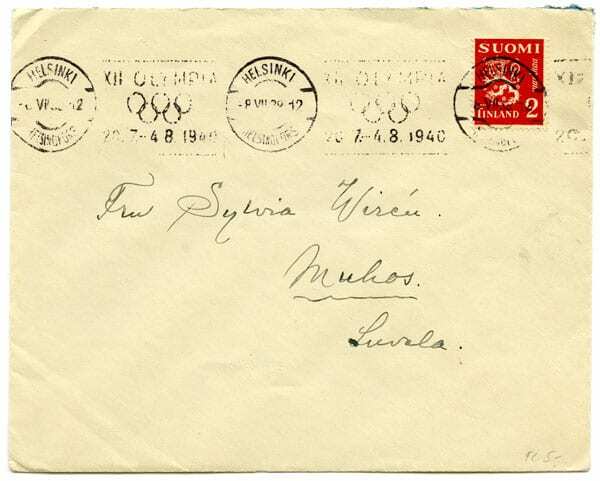 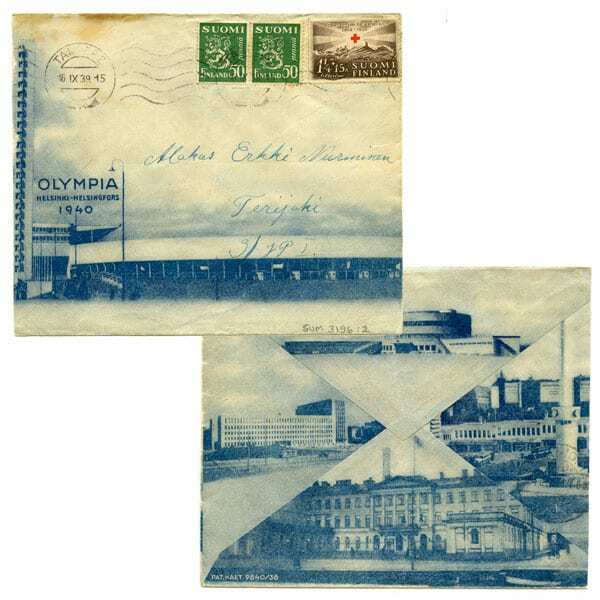 Description: Light-shaded envelope; upper edge of the front side covered with postmarks for full length. 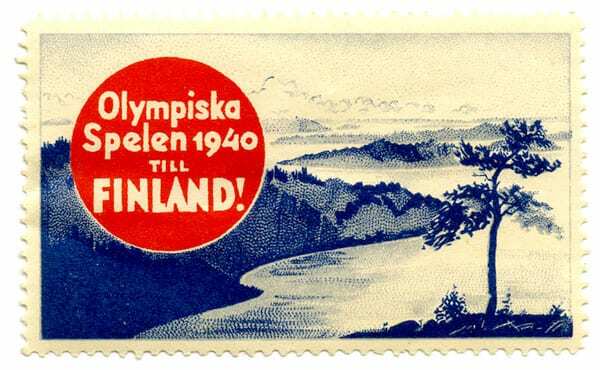 The stamp red with the Finnish Lion. 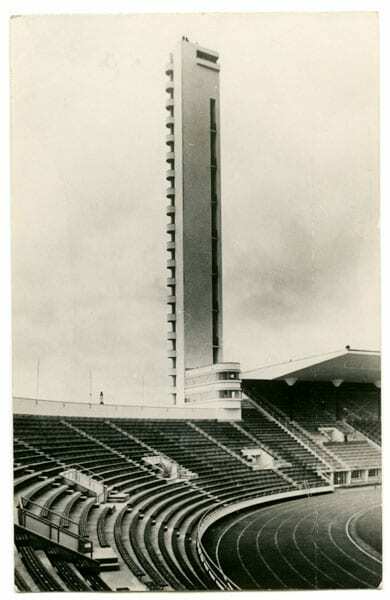 Description: Black and white photograph from inside the Olympic Stadium, taken from the south stands towards the Tower. 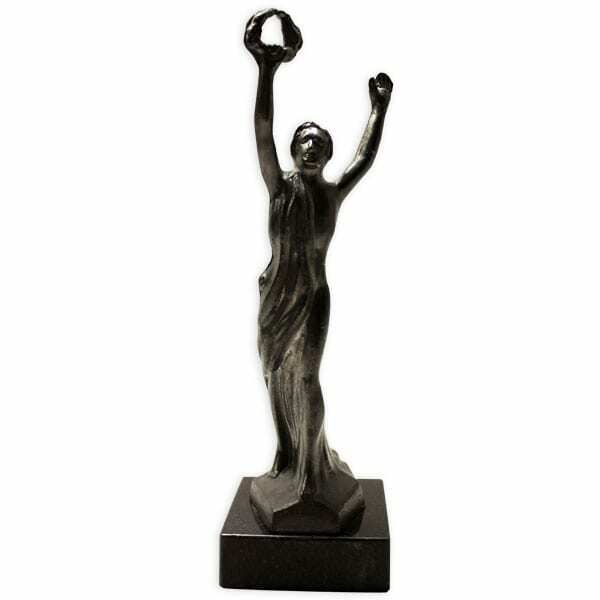 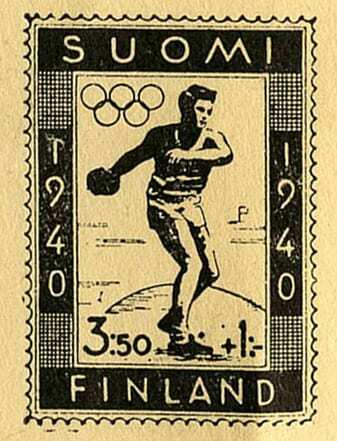 Description: Black and white stamp sketch depicting a discus thrower. 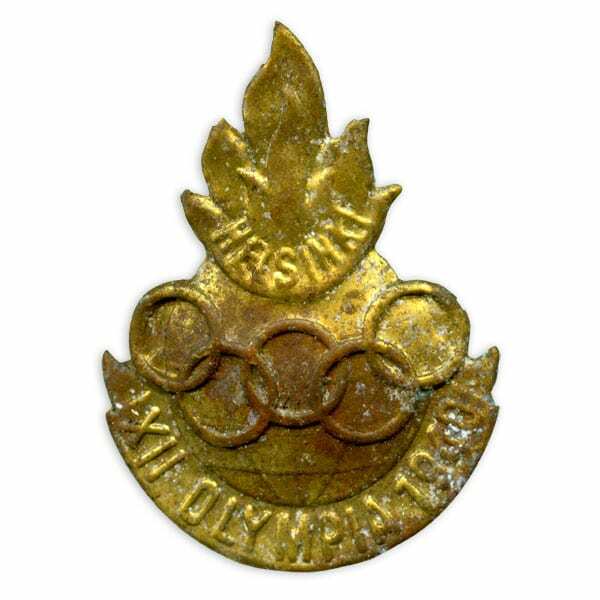 Other information: The bear carried in its hands Olympic rings which have later been removed. 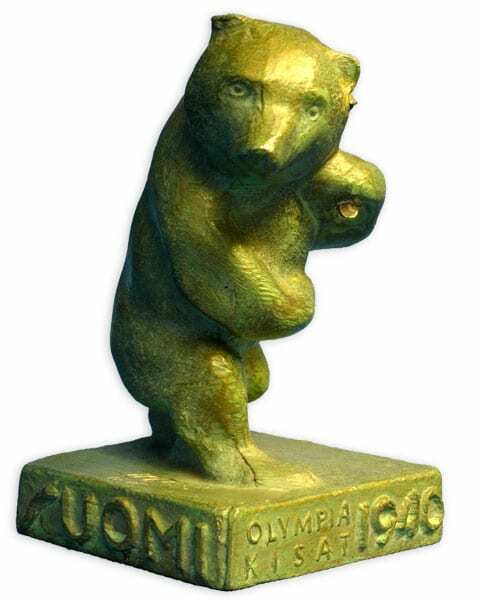 The bear sculptures were initially sold for raising funds for the 1940 Olympic Games, but in the summer of 1940 they were sold at sports events for the benefit of war invalids. 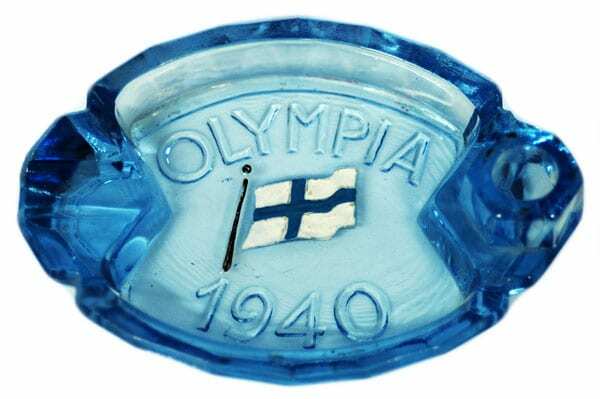 Description: Reddish glass. 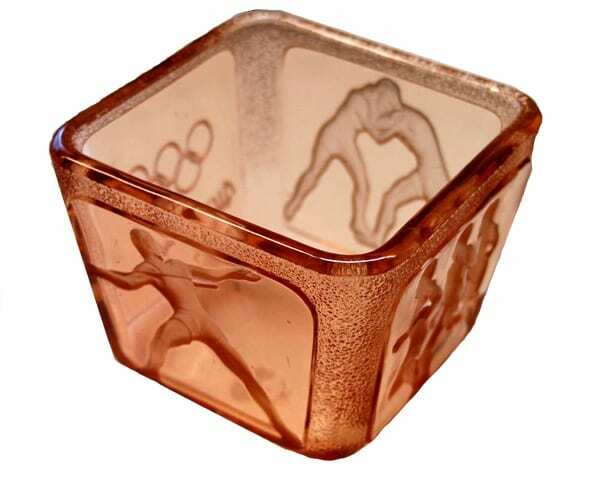 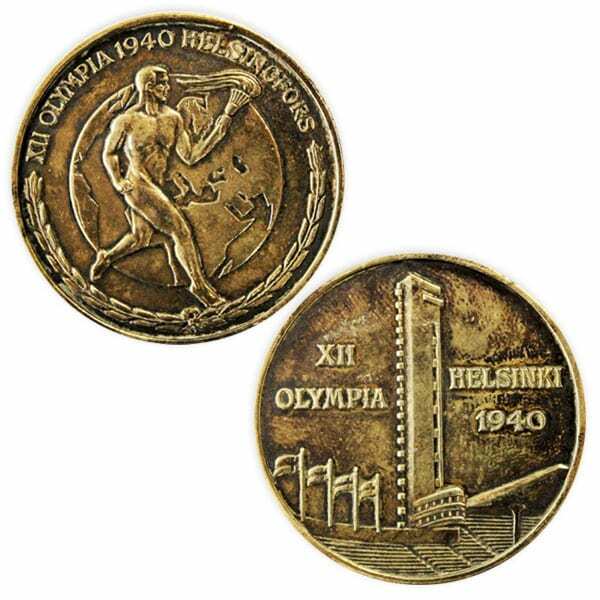 On each side a different pattern: three running men, a throwing man, two men wrestling and the Olympic rings with the text: Helsinki 1940. 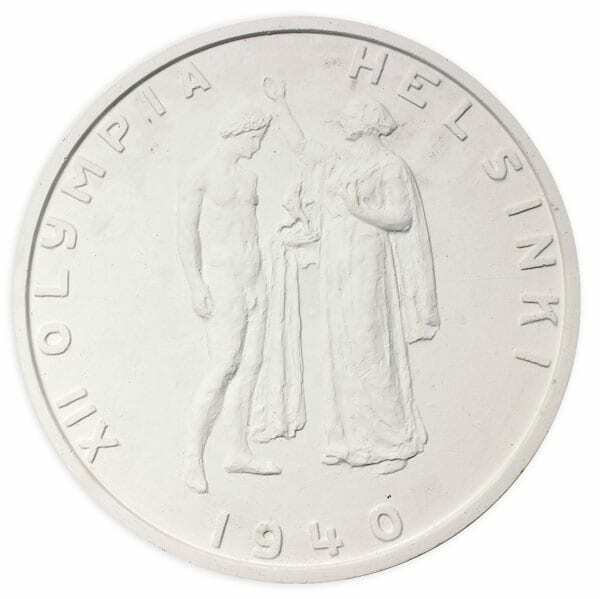 Description: Brown-painted with the text XII OLYMPIA HELSINKI 1940 and two groups of people on either side of an altar of fire: on the left a man and a woman, on the right two saluting men. 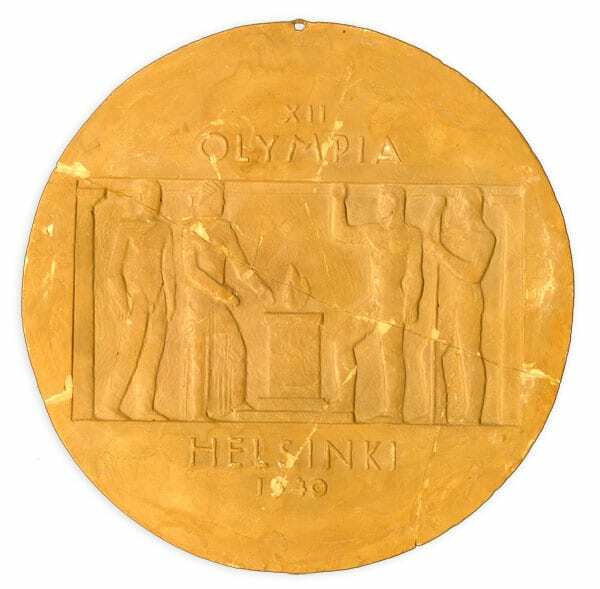 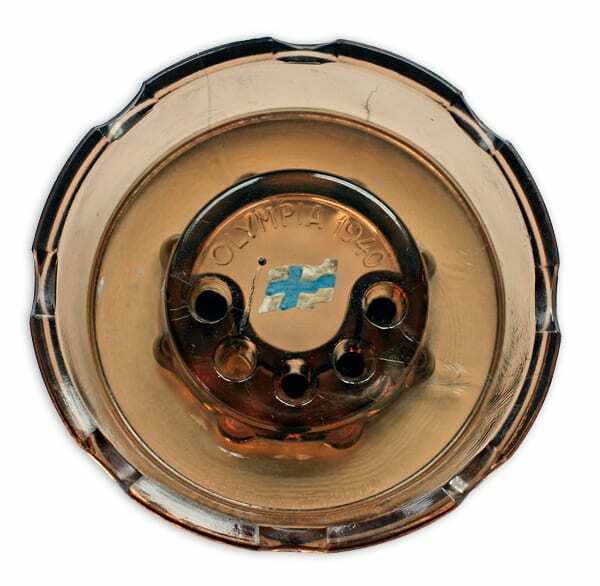 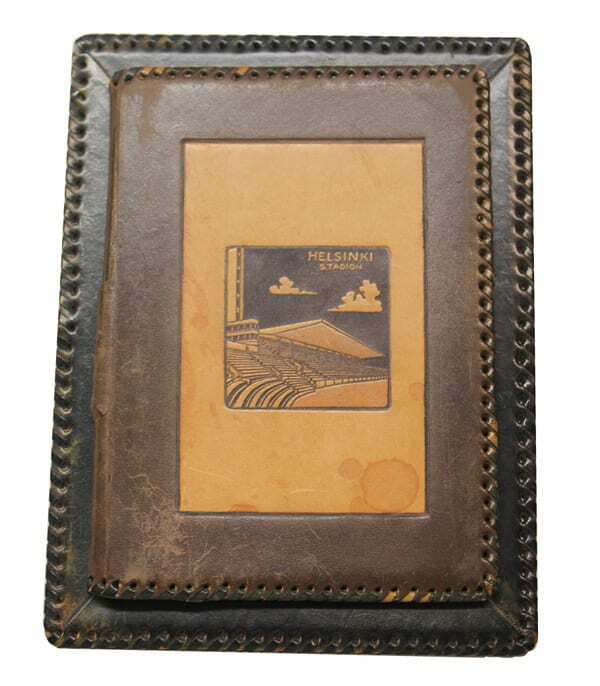 Other information: Emil Halonen’s entry in the competition for the Olympic commemorative medal. 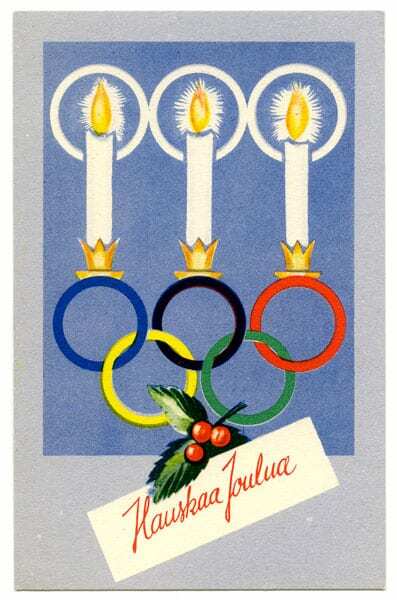 Description: Olympic rings with the year 1940 and laurel wreaths. 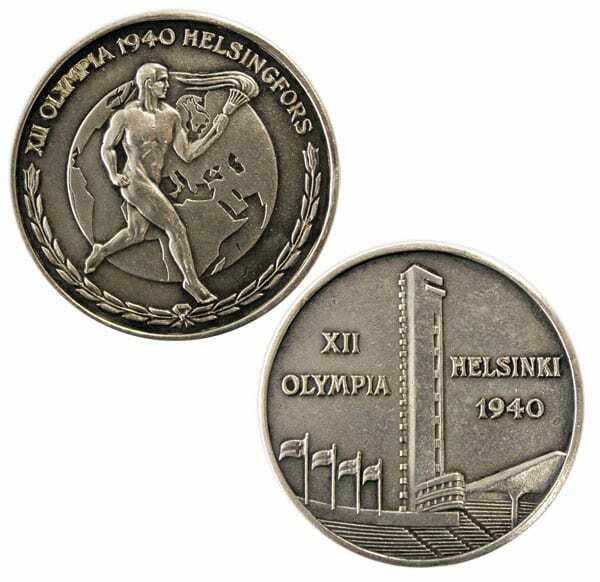 On the obverse a text in black: OLINHAN SIELLÄ MINÄKIN [I was there too].